Since many of you enjoyed Weird and Wacky France #1, I made a #2. 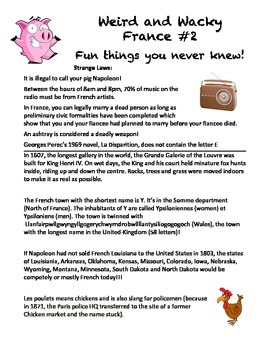 Here's a great bunch of fun and strange facts about France, plus a puzzle on the second page! 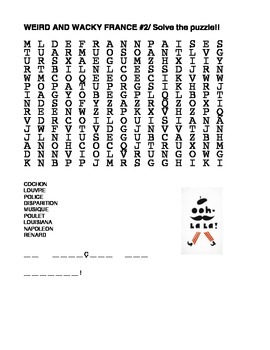 A great time saver, worksheet for the end of the class wrap-up or something to accompany a fun day!